What was German Naturalism? What were its achievements? How does it compare with its counterparts in other European countries? These are some of the difficult questions addressed by John Osborne in Gerhart Hauptmann and the Naturalist Drama, a revised and updated version of his The Naturalist Drama in Germany, now widely acknowledged as the standard introduction to the subject. The debates to which he contributed, and in some cases initiated, on Naturalism in the German theatre, Naturalist theory in Germany, and the development of the Naturalist movement to the contemporary Social Democrat movement, have remained central issues. 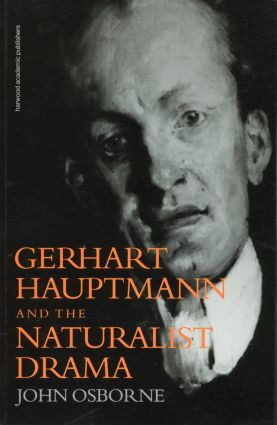 This revised edition preserves the structure and approach of the original, including its emphasis on the early dramas of Hauptmann, while taking full account of subsequent scholarship which provides the context in which this Naturalist playwright's work can be placed.